In 1929, the book publisher George Macy founded The Limited Editions Club (LEC), an imprint tasked with publishing finely illustrated limited editions of classic books. In the years to come, Macy worked with artists like Matisse and Picasso, and photographers like Edward Weston, to produce books with beautiful illustrations on their inner pages. And sometimes The Limited Editions Club even turned its design focus to other parts of the book. 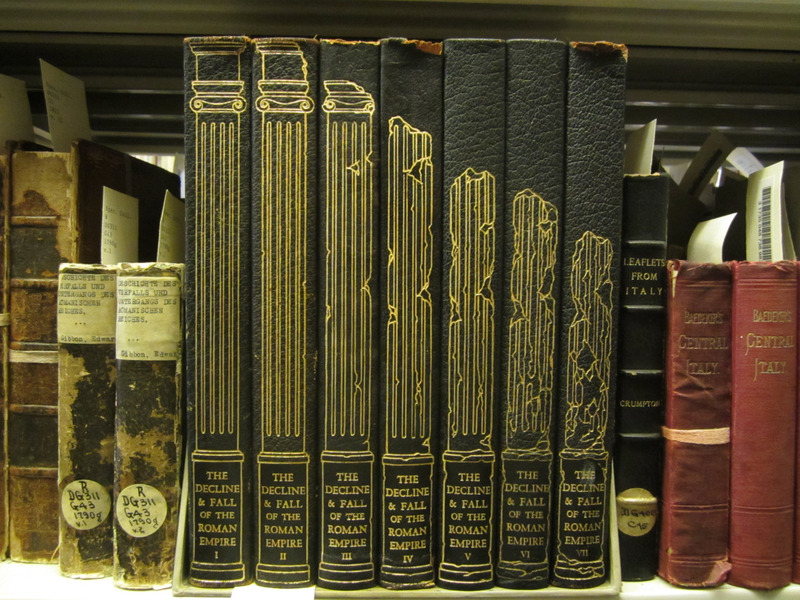 Take for example this 1946 edition of Edward Gibbon's The Decline and Fall of the Roman Empire and its pretty amazing spine design. Find more information about this 1946 edition here, or even buy a copy here. Also feel free to download a different edition of Gibbon's classic from our Free eBooks and Free Audio Books collections. I’ve got a nice one from the Folio Society.